If you are looking for some easy ways to dress up your Thanksgiving dinner, try making one of these fun accessories. 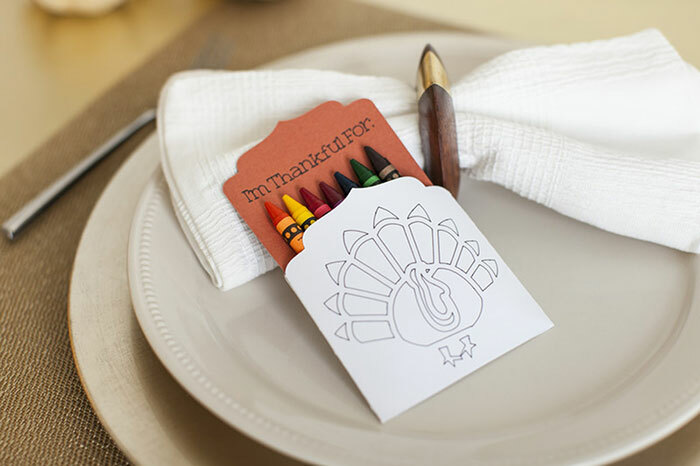 I am especially in love with the Thankful Crayon Holders. What a cute way to teach children about being thankful! It's also fun for guests of all ages to get the opportunity to be a bit creative. Open up the project and follow the instructions to cut out the different parts. Insert the pen and stylus when directed. Create the envelope by folding where the scoring lines were made and glue the flaps. Place the orange piece and crayons inside the white envelope. 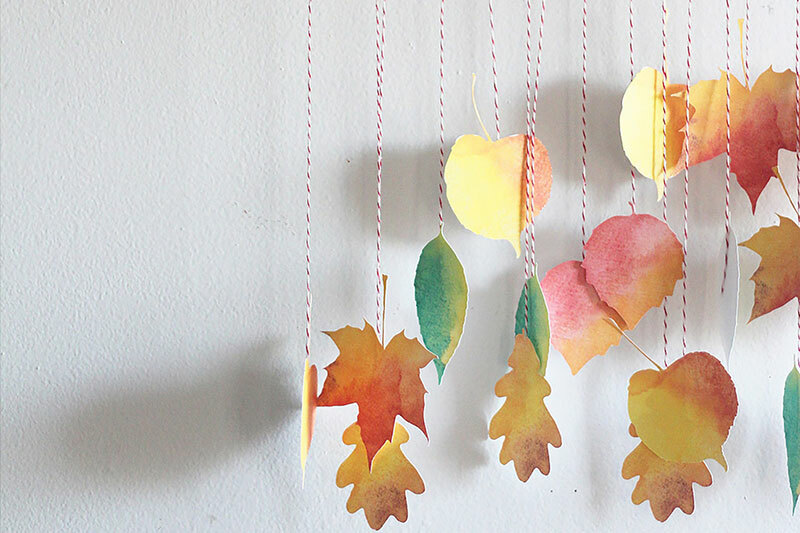 Load up the watercolor leaves and follow the instructions to print them out on the cardstock, then cut them out with your Cricut. Use the clear tape to adhere a leaf to each strand of baker's twine. Place the twine evenly across a straight twig and tie them on. Tie the other twine to each side of your twig so that you can hang it on the wall or above your table. Go to the project in Design Space and follow the instructions to first cut the leaves out of cardstock (StandardGrip), then the felt on the StrongGrip. If you use the Cricut® Maker, you will not need to add a stabilizer to the back. Use the hot glue gun to make the leaves thicker by attaching three of them together. Fold the felt to make the bow shape. Glue so it will hold together. Take two of your leaves and glue them to the bow on the inside. 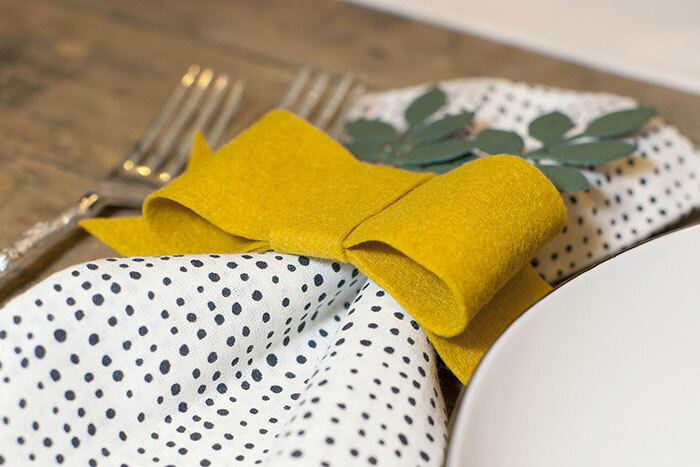 Once that has dried, add your napkin and voilà! Which project will you make this Thanksgiving? Let us know below! Looking forward to making the crayon pack! I have 2 grandsons that will love this along with their colorable placemats I’ve gotten for them! Need to make placecards since we are having the whole family this year! So excited to share my projects with them! FYI: The link to the crayon pack will not open. It says it is not available at this time.